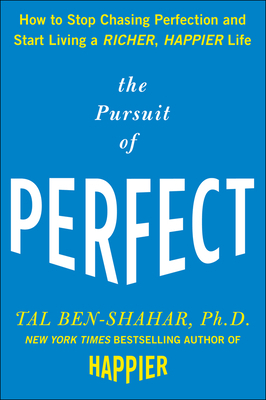 In The Pursuit of Perfect, Tal Ben-Shahar offers an optimal way of thinking about failure and success--and the very way we live. He provides exercises for self reflection, meditations, and "Time-Ins" to help you rediscover what you really want out of life. "This fine book shimmers with a rare brand of good sense that is embedded in scientific knowledge about how to increase happiness. It is easy to see how this is the backbone of the most popular course at Harvard today." Tal Ben- Tal Ben-Shahar, Ph.D., is the New York Times bestselling author of Happier. He taught the most popular course at Harvard University and currently teaches at the Interdisciplinary Center, Herzliya, Israel. He consults and lectures around the world to multinational organizations, the general public, and at-risk populations. He obtained his Ph.D. in organizational behavior and his B.A. in philosophy and psychology from Harvard. For more information visit www.talbenshahar.com.